Lemons are universally celebrated for their many uses in the world of beauty. See below for tips to look ones best, despite the harsh winter weather. 1. Heal that dry skin. Cold winter winds can wreak havoc on your skin! Mix equal amounts of lemon juice and honey and apply on your face and neck. After 10 minutes rinse off with cold water. Lemon contains hydroxyl acid which is highly valued in many beauty products. 2. Lemons work wonders on chapped lips. As with the dry skin, chapped lips are hard to avoid in the colder months. Mix a teaspoon each of cream, lemon juice and honey and rub it on your lips. Use for a week and see your chapped lips disappear – naturally! 3. Revitalize dull or damaged hair. Combine ¾ cup olive oil, ½ cup raw honey, and 3 tbsp of lemon juice. Set aside. After shampooing your hair, towel dry and work the lemon juice mixture into your hair by combing it evenly throughout. Cover your hair with a plastic cap for ½ hour. Shampoo and rinse hair thoroughly. 4. Keep your breath nice and fresh. Squeeze a few drops of lemon juice onto your tongue and swish it around in your mouth, swallowing the juice after a few swishes. This can lower the pH level inside your mouth and kill the bacteria that cause bad breath. 5. De-bloat with lemon and cucumber. Take 1 cucumber, 3 stalks of celery, ½ a lemon, 1 kale leaf and 1 green apple and blend in a juicer. This simple, natural juice helps to fight unsightly bloating (and ease abdominal discomfort in the process). 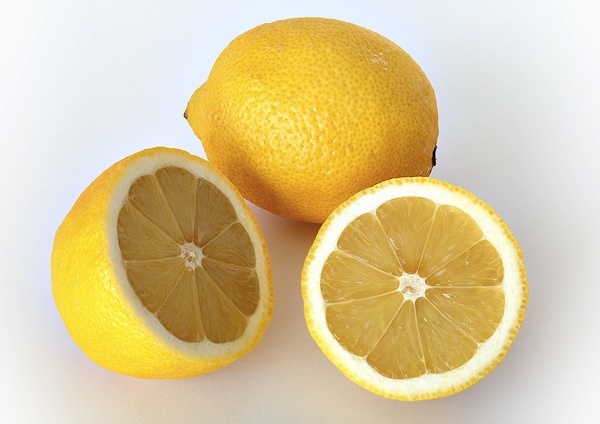 For more wonderful tips to get the most out of every lemon, visit www.limoneira.com.